Here's a unique item that acts as both a place card AND a gift for your guests. 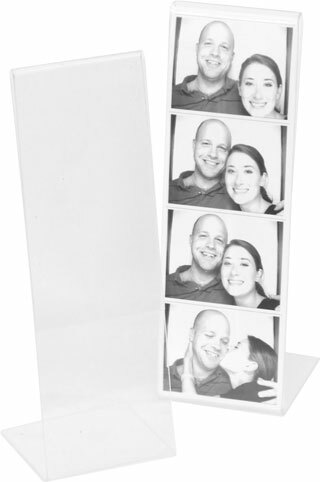 Freeze Frame Favors are acrylic frames made specifically for Freeze Frame Photobooth photos. They begin the evening as place cards, and your guests can insert their photobooth photos into the frame to create a thoughtful, personalized memento of your special day. Contact us today to learn more. The Photobooth will be the talk of the night. Your Freeze Frame Favors will be thoughtful, personalized gifts cherished for years to come.